Imagine your tropical vacation in the pristine and unspoiled Central American paradise of Belize. Cruising the protected inner waters of the 185 mile stretch of second longest barrier reef in the world, with over 3000 square miles of protected water, makes for an experience like no other. Imagine yourself swimming, diving, snorkeling, fishing, kayaking, windsurfing... the brilliant turquoise waters of the Belize archipelago, made up of over 200 deserted tropical islands and coral atolls, where more than 70 types of coral and over 400 species of fish call these waters home. Couple this with an exotic region overflowing with divine natural beauty, and you have the Mecca for boaters and vacationers looking for the ultimate tropical getaway. BELIZE BAREBOAT CHARTERS - The ultimate in privacy & freedom, bareboat rentals are for groups having their own qualified skipper. Hiring a captain and or hostess/cook always remains an option. For a list of our available Bareboat yachts, please Click Here. All our charters begin and end at noon and depart from either San Pedro, in Ambergris Cay or Placencia. A departure from San Pedro allows you to cruise the northern Belize atolls & islands, and from Placencia you can best tour the southern atolls & island, with the canyons of Guatemala's Rio Dulce and the Bay Islands of Honduras as possible options. You may also choose to extend your horizons with a one-way charter from either the north or south. Known for it’s unlimited miles of protected sailing inside the barrier reef, and legendary diving, snorkeling and fishing, this untamed tropical paradise, considered one of the world’s most spectacular natural habitats…beautiful, ancient and mysterious, with hundreds of unpopulated cays, will surely have you coming back for more. Blue skies, calm waters and hundreds of cayes are what Belize has to offer to the sailing enthusiasts. Our sailing trip take you to some of the most beautiful, isolated islands and underwater wonderlands. This is one destination that offers spectacular sailing itineraries. 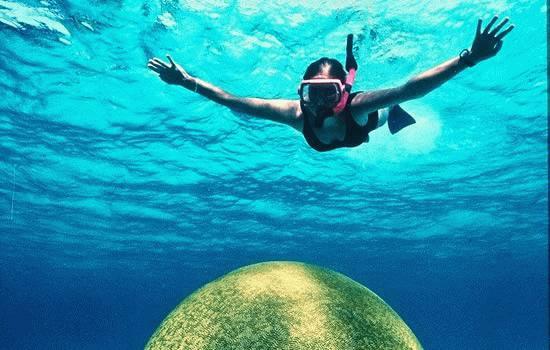 Ideal for swimming, snorkeling, diving, kayaking, just relaxing aboard or venturing into the jungle, a Belize Yacht Charter is a unique and unforgettable sailing destination. A Belize sailing itinerary eases you into a world of natural wonders amid a series of marine preserves tucked behind the protective barrier reefs off the Belizean coast. The islands and cays are mostly uninhabited, fringed with swaying palms or lined with lush stands of mangroves. White-sand beaches front secluded anchorages with kaleidoscopic colors of brown, orange, green, and blue over the reefs. Don’t overlook the many inland options this resplendent country has to offer. The region is overflowing with divine natural beauty including breathtaking tropical mountains, volcanoes, rainforests, mysterious Maya ruins, colorful & historical colonial villages with their Indian markets, exotic wildlife preserves, verdant streams and lakes, ancient underwater caves, warm atmosphere and friendly people. To learn more about resorts in the area and what to see and do, please ask one of our travel consultants. Here below you will find links to some additional information we are certain you will find useful pertaining to your yacht charter in Belize. Sailing in Belize: For general sailing information on sailing in Belize, suggestions, safety, transportation and more. 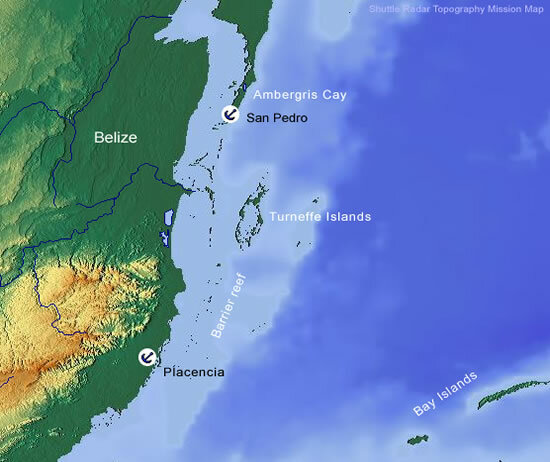 Belize and It's Barrier Reef Cays: A document to familiarize you with Belize and it's major Cays.